A Blueprint for an Effective Compliance Program will provide you with insight on what it takes to build an effective compliance program, from policy management, employee training, and awareness, conducting due diligence to handling whistleblower cases, and much more. The guide analyzes the processes that should support each component of your compliance program, while also explaining how each process can be tailored to respond to the specific needs of your company by developing thorough risk assessments to serve as the foundation of your compliance program framework. 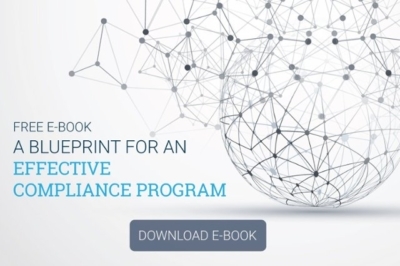 Download the guide to gain insight into how you can build an effective compliance program. Who this is for: Compliance officers, compliance managers, and other professionals who want to benchmark their compliance program or build one from scratch.